Greetings from Castlerigg! The weather today is getting us all excited for spring, soon the trees will be full of leaves and we might even be able to wear something other than jumpers! This week, we wanted to write about the current Church season: Lent! During Lent, we as Christians are called to focus on three different things: prayer, fasting and almsgiving. These are meant to prepare our hearts to celebrate Holy Week and Easter. In popular culture, we usually associate Lent with ‘giving something up’. This comes from the Christian idea of fasting during Lent. This can be good, but the intention of it isn’t just to lose weight! We do these things to have a bit of a spiritual ‘spring clean’, to de-clutter our lives a little and have a renewed heart ready for the high moment of Easter. Similarly, we can ‘take something up’, something linked to prayer or almsgiving (being charitable) to help us prepare for Easter and re-orient our lives back towards God. Three of our Castlerigg volunteers have shared what they have given up, or taken up, for Lent this year. What we do as individuals isn’t something for us to brag about, so we haven’t included their names in this blog post. But we hope this will help you think about what you could do this Lent (better late than never!) to help you prepare for Easter. How this looks for me in practice is that I deleted several apps on my phone which I waste time on, I made a prayer journal to make sure I was sticking to it and try to start and end my days, when I can, with morning and night prayer. Of course in the busyness of life this sometimes ends up with me scribbling my prayers down late at night, but it has helped me broaden my view of what I pray for, has given me time to reflect on who I am and what God has planned for me and to recognise how much I can still improve. This Lent, I have decided to give up desserts. We are blessed with two great chefs here at Castlerigg, and there is always a lot of food available- including deserts at lunch and dinner time. I love desserts, my favourite is sticky toffee pudding! Lent invites us to take a look over our lives, and think about where we have excess. What things do we actually need? What things could we do without? With giving up some sort of food, it’s not about starving ourselves but about trying to live a little more simply. This is for many reasons. Firstly, it helps us to appreciate the things we have. Secondly, it reminds us of people who don’t have so much. Thirdly, when we take excess things out of our lives, we open up more space for God. Our lives can become so full of worldly goods that we forget to leave space for God. I’m hoping that by giving up desserts I will become more grateful for the food I do have, and remember that God is the source of all the blessings in my life- including the food on our table! This lent I am replacing the time I spend each day on social media with reading the daily Gospel. Social media can be a place where we keep in contact with those we love and interact with the world in a way we may not be able to without its aid. But, for myself, for much of the time I use social media just to fill a gap. Without much thought, I will pick up my phone and scroll through Instagram, Twitter and Facebook before I sleep and do so again when I wake up. Often this scrolling is aimless and doesn’t incorporate any of the benefits that social media can bring into our lives; I am just scrolling for scrolling’s sake. So this Lent I have decided to replace the time I spend each day on these apps with something more fruitful. I have been reading the daily gospel each day instead. Reading the gospel and partaking in Lectio Divina (the activity of reading scripture prayerfully) is one of my favourite ways of praying. I very rarely close the Bible without feeling as though some part of my heart has been moved. But, as with any prayer, the problem I find is often with me. I get lazy and I forget how much joy I find in the word of God. I say I’ll do it later, and the day too often ends without my bible being touched. In Lent, we believe we are ‘giving something up’, but in return we gain far more. I have found in reading the gospel each day, that God always has something to say, in a way that is new and personal. Have you done something for Lent this year? How could you prepare your heart for Easter? Trying to spend a little more time in prayer? Giving up some of life’s excesses? Or by being a little more charitable towards others? Some of our favourite events here at Castlerigg are open retreats, when we hold a weekend retreat open to anyone. 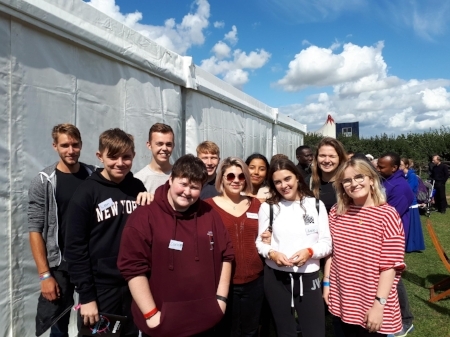 This last weekend we invited over 18s to come and stay with us for a weekend, as we reflected on how our faith can help ‘lead us through the wilderness’ of life. Our lives can be so hectic, we feel pulled in a million different directions by school, university, work, relationships and family pressures, among other things. While we can be so busy, and be surrounded by so many people, we can feel lonely, and like we have empty lives. There can be a hole in our lives that material possessions and passing pleasures cannot fill. The wilderness we are talking about, which our faith can help with, is the wilderness of our heart rather than a geographical desert. From when people started arriving on Friday evening, the atmosphere was really chilled, and we started with a fun evening of games and getting to know one another. We finished the day with night prayer in the Chapel, when Rachael led us through a prayer called the examen. It is a really useful prayer you can do wherever you are, it helps us to reflect over our day and our lives, allowing us to see where God is in our day and our lives, and those areas where we did not let God in. This is a great tool we can have in our arsenal of prayer. After this we had a time of silent adoration, so people could have their own personal prayer time. On Saturday morning, Fr Luiz Ruscillo joined us for our keynote talk. He gave us an insightful and engaging run through of the Old Testament, right up to the time of Jesus and the years of the very early Church. He helped us to understand the origins of the Eucharist, from the days of Abraham and Melchizedek (he sometimes gets a mention at Mass! ), right through to when God gave the Israelites manna in the desert. He explained how the people in the Old Testament will not have fully understood what God was saying or doing at the time, but now we know that Jesus came and did what He did, we can understand the Old Testament in a new light. This all linked into our theme of God leading us through our wilderness. While in the Old Testament it was physical food that God gave His people to survive, the food He gives us today is spiritual food, food for our soul. This is the food that can get us through the wilderness of our heart. This food is His word, the scripture, it’s His Body and Blood, it’s His love. We receive this through prayer, through other people, through the Sacraments. What’s more, sometimes we cannot understand what God’s plan is for us, or why our current struggle is necessary for our lives. Just as the writers of the Old Testament couldn’t see God’s bigger picture, neither can we at times. On Saturday afternoon, the sun came out briefly for our walk! We enjoyed chatting about what we had heard and done on the retreat so far, and in general about our lives back home. The walk finished in town, where some went shopping and others went to cafes or pubs. On Saturday evening we gathered back together in the Chapel for a Holy Hour, where we could pray with one another, go to Confession or just be still before Jesus in the Blessed Sacrament. Afterwards we enjoyed an evening of quizzes and games. On Sunday morning, we shared a bit about our experiences as young Catholics in the world today. We shared our struggles, and where we can find support and solace. We finished with Mass and a Sunday roast dinner, before everyone headed home. All in all, it was a chilled out but fun weekend, with beautiful prayer times and also thought-provoking and inspiring speakers. It certainly seemed that everyone had taken some inspiration on how Jesus can lead us through the wilderness of our hearts and lives! 80 young people from across the Diocese had an early start on Saturday morning, as we boarded coaches travelling down to Wembley Arena for Flame 2019. 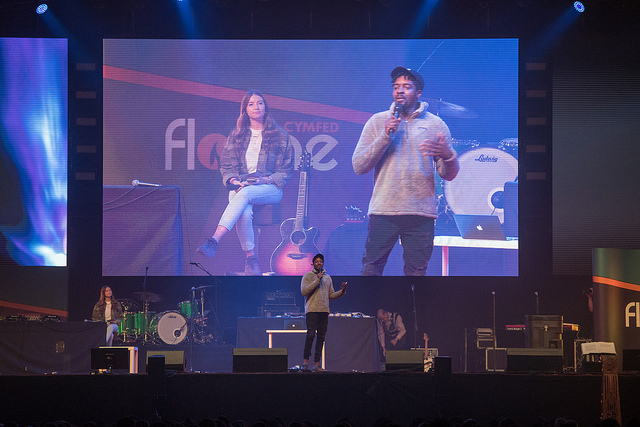 Flame is a national gathering of thousands of young people from all over the country, who come together to celebrate their faith and be inspired by guest speakers. The theme of this year’s event was ‘Significance’, a reminder to every young person there (and reading this!) that you are significant, because you are individually willed and created by God. We arrived at Wembley at around 10am, and as we entered the arena were able to say hi and have a quick catch-up with all sorts of friends who we had met through other events around the country. One of my favourite things about Castlerigg and youth ministry is that you get to meet so many other like-minded people, and events like Flame mean you all get to meet up even when you work at opposite ends of the country. The live music in the arena was awesome. There was something for everyone with rap from Guvna B, praise and worship (including some of the Castlerigg classics), a Gospel choir who sang a crossover of Amazing Grace and Stormzy’s Blinded by Your Grace, and a spontaneous but beautiful unaccompanied version of ‘How Great Thou Art’ led by Archbishop Eamon Martin from Armagh (Ireland). But there were equally beautiful moments of silence, as the speakers led us in prayer. It was incredible just how silent 8,500 people could be, you could really feel the faith in the room. There was a huge variety of guest speakers. We watched a recorded interview with Jean Vanier, who at 90 years old was too frail to travel from France to be with us. Nevertheless, his testimony was humbling and inspirational. Jean Vanier set up the L’Arche movement, which establishes homes where adults with learning difficulties live in community with those who care for them. Founded with one house in France in 1964, L’Arche now operates in 35 countries and supports over 3,500 adults with learning difficulties. Jean spoke about ‘discovering the secret God has put in our hearts’ and how those with disabilities teach us how to be human, they seek to love and be loved above all else. 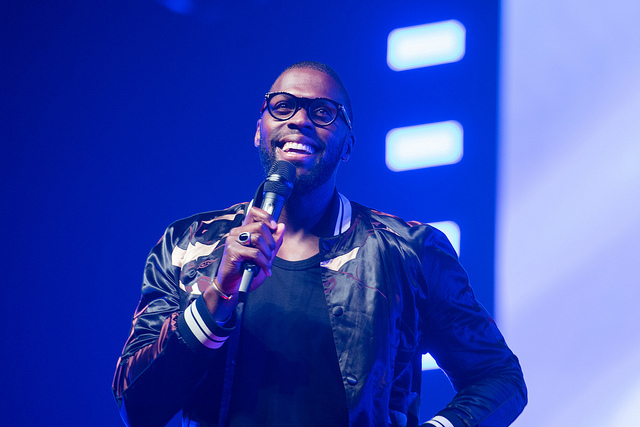 For many people, Robert Madu was the highlight of the day. From Texas, he had travelled over specially to speak to us at Flame. He spoke to us with amazing energy and conviction, about how we should not compare ourselves to others - such an important message! He reminded us that we are all created just as we are, by God, for a reason. We should recognise all the blessings God has given us in our own lives, and not worry about what others have that we might not. God has given us everything we need! So, we should just stay in our own lane of the race and keep our eyes on Jesus. The roar of agreement and applause at the end of his talk showed just how important his message is for young people today. The event finished with a time of adoration of Jesus in the Blessed Sacrament. Cardinal Vincent Nicholls joined us and led us in prayer before Jesus. While Jesus was maybe 50 metres away from us, up on the stage, I was in awe again of the prayerful silence of 8,500 people, and just how awesome it was to be surrounded by so many other young people, united with them in faith. When the day finished at 6pm, we headed out to our coach and back up north. As with so many of the events I have attended with Castlerigg, be it Flame or Lourdes or retreats, they seem to fill you with so much spirit and energy despite robbing you of many hours sleep! It was a truly inspirational day. Hi, my name is Sharon and I’m a volunteer at Castlerigg and taking part in the CAFOD Step into the Gap programme. As part of the Step into the Gap programme, we were privileged to visit CAFOD’s partners in Israel and Occupied Palestinian Territories. One of the highlights from this trip for me was visiting CAFOD’s education partner, Sadaka Reut. Sadaka Reut is a bi-national organisation established in 1983 bringing Palestinian and Jewish students together and encouraging them to be one voice to speak up about social and political change in society. Students have the opportunity to take part in various projects that involve working with the community and creating partnerships by promoting education, awareness, and action. This is achieved by reflecting and understanding the injustices arising from the Israeli-Palestinian conflict and creating a new generation of citizens and leaders towards a future based on the values of equality, solidarity, and friendship. We had the opportunity to meet a group of seven Jewish Scouts and two Palestinian students who were taking part in one of Sadaka Reut’s programmes, Community in Action. This is a year-long programme in which students live together in community, and their role involves being part of sessions where they learn about politics and social issues, being counsellors, and helping out in school activities. We were intrigued to learn about the students work and life in Sadaka, and started to identify many similarities in youth work between Sadaka and our placements. One of the similarities found in youth work in both countries is the volunteer’s motivation to make a positive difference in society and for the individuals we encounter. The reason why I love conducting retreats is meeting so many young people who come from different backgrounds, each with their own unique story, and it’s inspiring to see how they use their gifts and talents to be a positive impact in society. Retreat sessions in prayer, games, and outdoor activities make young people aware of how they can be a better person and make a positive change to their schools and communities. This value is also shared in Sadaka Reut. Noya, one of the volunteers says “Everyone realises that closing the gap comes from our understanding of each other”. The combination of encountering others and their cultures creates partnership. This shows how when we encounter each other it opens our minds to acknowledging our differences and success is gained from working together. Another similarity is community living. The Jewish and Palestinians students live together during the course of the year. This is similar in our placements as I get to live with seven other volunteers, an experience I have not had before. I have had the opportunity to meet amazing people and share many joys over our individual, funny personalities, bringing so much colour and diversity to the team, whilst learning so much from each other. The scouts also share similar views. They mentioned that Noa from the team, was the messiest. She really enjoys this experience because she was able to meet people she may not have met before. Sihalm, another volunteer says it has been difficult to work with the seven volunteers in the community, but she does feel like she is part of the group. We can see that community life at times can be challenging, but it also a blessing. A difference in youth work is the aims and goals set in the organisation. At Sadaka Reut, youth work and education revolves around educating young people about building bridges between the Jewish and Palestinian community, breaking the stereotypes, taboos and injustices. Understanding the commonalities that bring the two groups together, rather than what sets them apart. 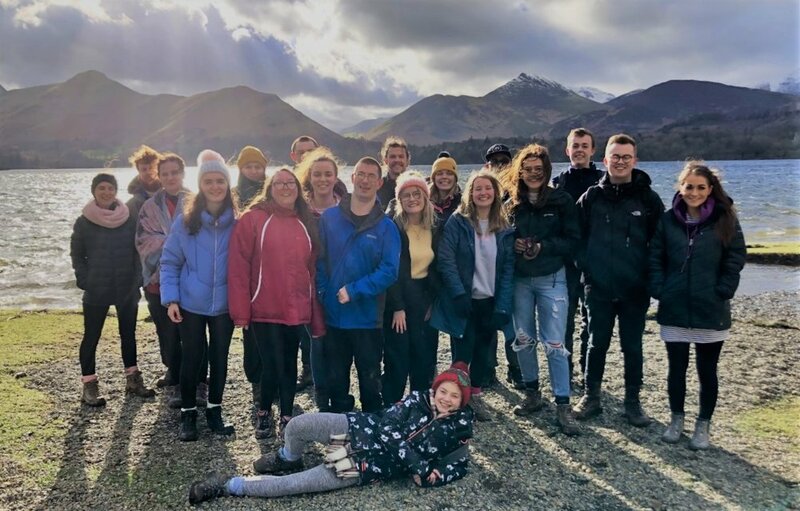 Whereas, at Castlerigg the aim of the retreats is to allow the young people to understand how they can use their faith, gifts and talents, to make society a better place, and an opportunity to try new skills and hobbies. Another difference in youth work between UK and Sadaka is the reasons why the volunteers chose to do a year of voluntary service. One of the reasons the Jewish Scouts decided to do CIA was because they wanted to do a year of voluntary service before they joined the army. Another reason for joining Sadaka was to get an exposure of the reality other groups are going through in society. Illy, one of the volunteers says “I come from a Jewish background, growing up I was only exposed to Jewish education, radio, and television but I wanted to hear the other side. I acknowledge humanity and want to feel their life experiences in person”. You can sense that the students are inside a political circumference and they want to go deeper and beyond that to gain new insights. There are many reasons why the students volunteer at Castlerigg. For some it is an opportunity to think about their direction in life, particularly as they finish college or university. For others it is the opportunity to gain experience that will help them in their future, if they want to pursue a career in a faith based environment, or simply to gain experience working with young people, or doing something out of their comfort zone that they have not done before. But at the heart of it is the motivation to make a positive difference, to give something back. Seeing how CAFOD’S support makes a change in these young people’s lives inspires me. It has taught me, that despite the challenges we face from society or any other restrictions, if you have the will, commitment and positive mind-set social change through partnership can be brought about. I had been sat on a coach for about twelve hours by now. We were in the midst of watching the cinematic masterpiece that is Sister Act, and I was trying my hardest to remember the names of those on the seats around me. An entire bus of other young Catholics. There were more than fifty Catholics my age; a fact I was still trying to get my head around. As I placed my pillow on the window, I thought of what the Hotel might be like, and how warm it would be at the Lake, and who these people were that I was going to get to know. As I fell asleep, I did not think of God. But he had other plans. Lourdes is a small town in the South of France, where in 1858, Our Lady appeared to a young girl called Bernadette Soubirous. Surrounded by many who did not believe her story, Bernadette was told by Our Lady to build a Church. It was under this church that countless miracles have happened since; where so many have been brought back to God; and where I, and a bus load of Lancaster Diocese Youth, would be arriving in the morning. That week, I found God in so many things that, before visiting Lourdes, I was naïve enough to believe he didn’t exist in. In my head, God lived in Church, and it sort of stopped there. Yet, over the next week, I was to see him so clearly in all that I experienced. In the friends I met, who made me laugh until it hurt and who I could be vulnerable with without hesitation. In the sick and the elderly I got to know over trips to mass and post-prayer coffee, who showed me what it was like to live a life that was rich and fruitful. But, above all these, I found Gods love most tangibly, in his Mother. I had been visiting the grotto, the place where Our Lady appeared to Bernadette, each evening for the last few nights now. It had felt good to be sat there looking around and enjoying the quiet. I had stopped myself from feeling much else beyond this. I had built a wall up that I was unwilling to bring down. But, hearing my new friends talk about what they had felt in the grotto I was saddened that I had allowed myself to miss out. I went there that evening, with the intention of feeling something. No matter how small. That night, I prayed the first real prayer I’d said in years. I spoke to Mary, and in return, I was filled with a peace that I had never felt before. A peace so immeasurable, that I find almost impossible to put into words. I knew in that moment, that God was real and that he loved me. And knowing that, was to change everything. Not every moment in my life since has been filled with the same peace I felt in the grotto when I was sixteen. But every moment after this, that has been filled with joy and love, that has made me feel more alive than I had thought possible, has come from that week in small town in the South of France. Giving ourselves an opportunity to turn over a new leaf and start afresh is important, but the idea of New Year resolutions suggests we can only do it once a year. When you can only make a fresh start once a year, and then slip up on it, it can feel like there’s no point carrying on - you have to wait until next January! Last weekend, we welcomed back many of our past team volunteers for a reunion weekend. Every year, Castlerigg recruits around eight gap-year volunteers to help run the youth service, be it retreats, outreach or pilgrimages. The bond many of us form as volunteers over our gap year is unique and extremely strong, and lasts for much longer than the year we spend at Castlerigg! This was clear to see as we welcomed back volunteers from over 10 different gap year teams, many of whom are now married (some to each other!) and have families of their own, but all of whom remain friends. We caught up with each other, shared memories and stories of our time on the team at Castlerigg. What particularly struck members of the current Castlerigg team, many of who had not met many past team members before, was the strong bonds of community that stretch over multiple generations of Castlerigg team. It wasn’t just the 2011 team talking to itself and the 2008 team talking to itself. We all shared a special bond regardless of if we knew each other particularly well or worked at Castlerigg together. It was this which above all made this weekend one of real joy, fun and community. 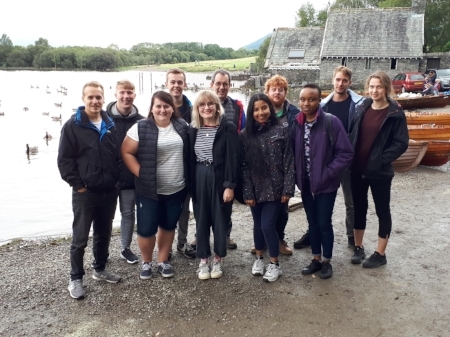 If you would like to become part of this community, and think working at Castlerigg as one of our gap year volunteers is something you would like to do, email director@castleriggmanor.co.uk for more information and an application form! This is a talk given at our advent retreat last weekend. Everyone from Year 9 and upwards is welcome to come to our advent and Easter retreats; they are a great chance to meet other young people and explore our faith further at these important times of year. All these feelings, these emotions, these stages of life. I’m sure we are all familiar with most, if not all, of them- in some way. Listing them out like this gives us a glimpse of the complexity of life, of what we can go through as individuals and communities, what we can feel. A healthy approach to life is to have time for each of these, as the reading suggests. Too often we don’t make time for all the emotions, we pick and choose. We don’t let ourselves feel certain emotions, we might be scared of them, or not feel worthy. But we are brave enough, we are worthy! We need to consider things like grief, and sorrow. It’s healthy to be happy sometimes, and to be a bit down at others. To be ambitious sometimes, and to relax at other times. To fight for what we believe in, and to choose our battles. To dance, and to mourn. Having all of these things is what makes us human. Just as human life is complicated and has many aspects, so is Christian life. Perhaps even more so, because we have this whole other dimension. The big guy in the sky. The Almighty. The infinite, all-loving, all-present creator. The Alpha and the Omega. The Father, the Son, and the Holy Spirit. It can feel like our faith dumps a whole other load of responsibilities and checklists and things to do on us. - Joyful and grateful for everything God gives us, including Himself. - Sorry for sinning against Him. - Trying our best, to discover and become the Saints He made us to be. - Pray and have a dialogue with God through our lives. - Stay awake and stand firm, as the Bible says, waiting for when Christ comes again. How are we meant to do all of this?! It was enough just being human. It’s easy to see why we can feel put off at times, why having our faith seems like an unnecessary extra load. But we shouldn’t feel like that! And we’ve all had those glimpses, sometimes they come more often than others, of the joy and inspiration we can get from our faith- that we can find nowhere else. Those moments remind us it is worth sticking at, but at times of struggle and confusion, those moments can fade away. But we can also not help ourselves by focussing too much on one aspect. I don’t know about you, but sometimes it can feel like we’re always talking about what sinners we are, or how life is hard. I know sometimes when I’m talking to groups on retreat here, and I focus on a particular aspect of our faith, I am concerned I sound a bit depressing, or completely out of touch. So it can be really helpful to have a structure to draw our attention to the different aspects of Christian life. So that we are sort of forced to change our perspective, even if we don’t feel like it. And the Church gives us this incredible way of helping us to develop all the different aspects of the Christian life. We have different seasons of the year in the Church: Advent, Lent, Holy Week, Easter and Christmas, as well as feast days which celebrate the Saints. In each season, the Church invites us to focus on a different aspect of Christian life. Like I said, it can be good to be dragged into a different perspective. God always has a message for each of us in these seasons, even if we don’t feel like being joyful, or saying sorry, or changing our lives for Jesus. It won’t come as a surprise to you that today we’re going to be looking at Advent. What the focus of Advent is and how we can use Advent to enhance our lives as Christians. My definition for advent (which I definitely didn’t nick off anyone else) is: Advent is a season of devout and joyful preparation for the coming of Jesus. What do we mean by devout, and joyful? What comes to your mind when you hear those words? Devout can make us think of pious, someone who is holier than thou. It doesn’t really mean that. Someone can be devout in something other than their faith. Someone who is passionate about a cause, or a sport or a subject could be considered devout. To be devout is to be firm, resolute, whole-hearted. Joyful is often used in the same way as happiness, and they are similar in some ways. But joyfulness is something more profound- especially for people of faith. Joy is the sense that everything is going to be OK, because God loves us. We can be joyful even when the world is throwing us an absolute stinker of a day, or a week, or a year. We know that even though everything else seems to be going wrong, God loves us and has us close to Him. So: advent is a time of devout and joyful preparation for the coming of Christ. But, again, what do we mean by the coming of Christ?! But there are other ways to think about the coming of Jesus. Jesus told us again and again that, when he ascended into Heaven He was leaving us for now, but that He would return. He tells us parables about how we must be ready, at all times of year and all hours of the day. Ready for Him to come back. This is the question we must ask ourselves in advent. If Jesus were to come to Earth this Christmas, not just in the Gospel or in the Eucharist, but as recognisably as He did 2000 years ago, would we be ready? What sort of state would He find us in? It isn’t just the Jesus on the clouds we are waiting for. We can and do encounter Jesus every day, even when we don’t realise. In scripture, in the Eucharist, in our neighbours and the least of those in our society. In scripture we hear God’s words, both before, during and after Jesus’ time on Earth. It’s important that we remember that when we read scripture, God is speaking to us in our lives today. So, it can help if we try and read it prayerfully. Do we go to Mass as much as we should? Do we concentrate, or let our mind wander? Do we always love our neighbour? Especially those who are poor and vulnerable, who can offer us nothing in return. A priest in a Parish, in a particularly deprived area of a city in Lancashire. He told me that, when visiting some of his new parishioners, he saw where Christ would be born if he returned today. This is the question we should ask ourselves this advent: are we ready to let Jesus into our lives? OK, let’s change that to Happy New Liturgical Year! Its less snappy but avoids the confusion. The Church has a set calendar, which determines what readings are heard at masses every day of the year, all over the world. This is one of many ways in which we are part of a universal Church; every time we go to Mass or read the readings of the day (as you can here), we read and pray about the same readings as every other Christian all over the world. Like St Paul said, we are all part of one body- the Church- and God speaks to us both as a whole and individually every day in the readings. As you may have discovered if you’ve ever picked up a Bible (if you haven’t, I can recommend it), there is a lot of it to read! So the Church breaks it down into useful chunks which are just enough for us to take in in one sitting. This way, we have enough readings to last us for three years before we repeat ourselves! These three years are called Year A, Year B and Year C. We start a new year on the First Sunday of Advent, which was this last Sunday- hence the title of this blog! We have just entered Year C, which takes most of its Sunday Gospels from Luke’s Gospel. 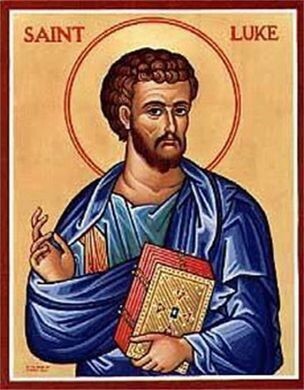 St Luke is believed to have been born around the time of the birth of Jesus, and by trade was a doctor. We know this because St Paul refers to him as ‘our friend Luke, the Doctor’, in his letter to the Colossians. Luke did not know Jesus during Jesus’ life on Earth, but rather came to be a Christian after hearing of Jesus through St Paul. Luke is understood to have travelled with Paul and learnt all about Jesus’ life, ministry and teachings. Being an educated man, he was able to write them down in a book we now know as Luke’s Gospel! Few people were able to write in these times, and fewer had the money to buy ink and papyrus (paper) to write with. Luke did not only write his Gospel, he also wrote the book of the Bible called ‘The Acts of the Apostles’. This book documents the adventures and trials of the apostles and their companions, spreading the good news of Jesus in the years and decades after the resurrection. People who have studied the Bible recognize the similar writing style of the authors of the two books, and in Acts the author refers to ‘my earlier work’. The Acts of the Apostles is a Testament to the power of the Apostles’ belief in Jesus; they were willing and ready to go to the ends of the Earth, to be discriminated against, imprisoned and even put to death for their belief. But they knew, as we know now, that Jesus is the truth, and He was with them as He is with us today. We can take so much inspiration from the Apostles for our own lives! In his two books, St Luke gives us a big chunk of the total Bible. He is a really important source of information about the life of Jesus and the actions of the early Church. I hope you enjoy hearing more from him on the Sundays of this next year! 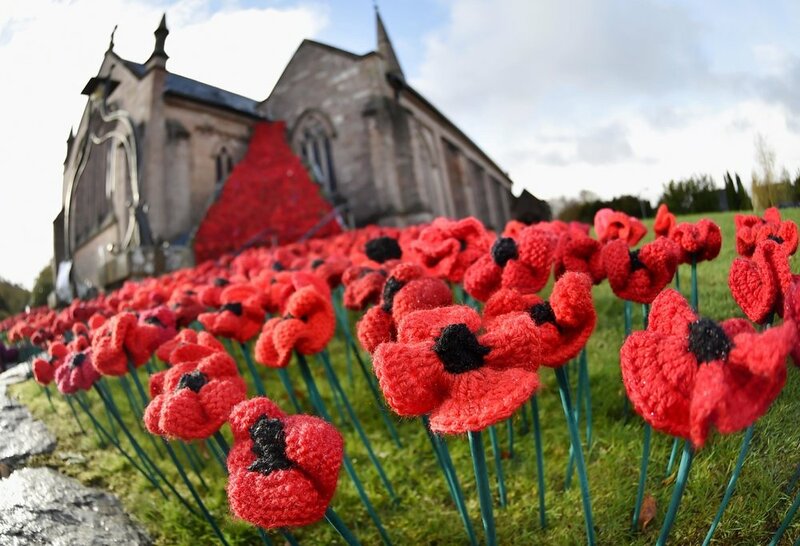 This last Sunday, our communities, towns, cities and nation joined much of the world in commemorating the end of the First World War. Moving memorials and pieces of art have been added to pre-existing memorials and cenotaphs recently, to mark this special 100-year anniversary. War can seem a distant thing to us today, and we are very blessed that it is. The closest we get here at Castlerigg is when the RAF fly over Keswick, practicing their low-flight manoeuvres. It’s always a real spectacle when they fly over, and the noise is awesome. When we are out walking with school groups, and the planes fly over, all the young people are amazed! Having become more used to it now, though, I find my mind drawn to the other places in the world where warplanes fly over at such a low altitude. Places like Syria and Yemen. There, the sight of a warplane is not a spectacle to admire, or something to get excited about: it’s something that puts great fear in your heart, an omen of death. In the UK, we take for granted that such a sight in the sky is a friendly sight, which would never do us any harm. What a great contrast. Let us pray, giving thanks to God for the peace in our country, and Europe, today. We pray for our leaders, that they will have the wisdom and courage to always pursue peace. Lord, hear us. We pray for those who have been killed or had their lives changed in the course of fighting for their country. That they may be welcomed into your Kingdom. Lord, hear us. Let us pray for the areas of the world where there is war and conflict, especially Syria and Yemen. That civilians may find shelter and safety, and that leaders of warring nations and factions may strive towards true peace. Lord, hear us. Let us pray for those whose job it is to keep us safe. That You, Lord, will keep them safe. Comfort them, and their families, in their worry and fear. Lord, hear us. In a Mass in St Peter’s Square, Rome, on Sunday 14th October, attended by some 60,000 people, Pope Francis canonised seven people. This means that they are now formally recognised as saints by the Church! If someone is recognised as a saint by the Church, it means they were good and faithful Christians who set an example for us all today, and they are now in heaven with God, watching over us. It’s important to realise they were not perfect, as none of us are, but they tried their best and never gave up faith in God. Huge images of the new saints hung from St Peter’s Basilica in the Vatican. You can find out more about all the new saints here, but in this post we are just going to look at one of our new saints, perhaps the most famous: Saint Archbishop Oscar Romero. 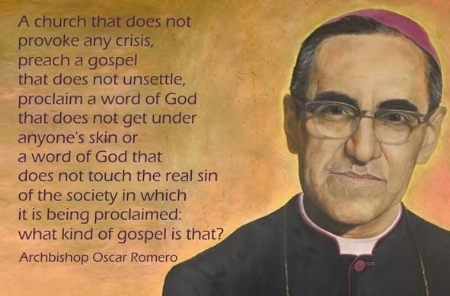 Romero was born in 1917 in El Salvador, and was ordained a priest in 1942. He became the Archbishop of San Salvador, the capital of El Salvador, in 1977. In 1979, a group of military leaders overthrew the government of El Salvador, establishing a military dictatorship in the country. El Salvador then descended into a twelve-year civil war. Romero spoke out against the failings and brutalities of the regime, being mainly concerned with poverty, social injustice, assassinations and the use of torture. This was also a time when Catholics in particular were persecuted in El Salvador, especially Priests and Nuns who were working with the poor. He would give speeches on the radio which huge swathes of the population would tune in for, talking about people who had been killed or imprisoned by the regime, and calling out the regime for its cruel actions. On 23 March 1980, Romero delivered one of these radio sermons, in which he called on Salvadoran soldiers, as Christians, to obey God's higher order and to stop carrying out the government's repression and violations of basic human rights. The following day, while celebrating Mass in a hospital chapel, Romero was shot dead by an assassin. His death sparked an international outcry, and his funeral was attended by hundreds of thousands of people- it was described as the biggest protest in the history of El Salvador. What can we take from the life of Saint Oscar? The Gospel reading heard during Mass on Sunday was from Mark, where Jesus was asked what must be done to have eternal life. Pope Francis described how the man asking was caught off guard by the answer he received, that it is easier for a camel to fit through the eye of a needle than it is for a rich man to enter the Kingdom of Heaven! This answer was not one of “supply and demand” but rather “a story of love,” Francis said. This echoed with much of the life of Saint Oscar. He could have chosen an easier path, to not ruffle the feathers of the military dictators which ruled his country. But he was faithful to the Gospel, and Jesus. So, when we look at the example of Saint Oscar Romero, we should be inspired to be a voice for the voiceless in our society. Let’s not rely on material possessions to fill our hearts, but love for God and our neighbour- whoever they may be. The teachings of the Gospel can make us uncomfortable at times, they call us to step out of the comfort of our lives, to see Jesus in the poorest and most vulnerable in our society, and to let go of our material possessions. But, as Pope Benedict said, we were not made for comfort, we were made for greatness! This year, I travelled to Medjugorje on pilgrimage for an annual youth festival, with a group of my closest friends and other young people from all over the UK. Medjugorje, a small town in Bosnia and Herzegovina, was the home of six children, to whom the Queen of Peace is reported to have appeared to since 1981. After spending many beautiful summers in Lourdes with Lancaster Diocese, I had high expectations from Our Lady for this trip. My relationship with God began with a prayer I made in the grotto in Lourdes. There, I was filled with a peace that I had hoped to find again as I began my pilgrimage in Medjugorje. But, our God is a God of the unexpected, and peace was not the principle gift that I was to receive in this little town. Despite the reverence that encircles Medjugorje, this place felt different. I felt that Our Lady was working here now, and her message was urgent. Whilst in Lourdes as a 16-year-old girl, God had told me, ‘its all going to be ok’, here I could hear him telling me ‘perhaps it won’t always feel okay, but what does that matter? I am with you anyway.’ It was once I accepted the message of this pilgrimage, that I allowed God to work his wonders in me that week. Whether it was dancing to the praise-music of the festival, the Croatian woman that hugged each of us as she said “peace be with you” or watching the sunrise in the middle of Mass, you could feel the joy of the Holy Spirit working throughout this town; a joy that has lasted long after I stepped off that return flight into rainy Leeds. As my friends and I spoke of this pilgrimage, we knew that this joy had been kindled throughout the group and couldn’t just be kept amongst us. It felt impossible to leave Medjugorje without feeling as though something needed to be done. Daily, the visionaries share a new message from Our Lady, to tell us that something in our lives needs to change. If we only listen to her message, a message of such powerful peace, then this change can become fully alive in the world. 24th Sunday in Ordinary Time. If anyone wants to be a follower of mine, let him renounce himself and take up his own cross and follow me. For anyone who wants to save his life will lose it; but anyone who loses his life, for my sake, will save it. Last Sunday’s Gospel reading was a big one. Not for its length, but for the effect it could have on our lives. This week we are going to take a section of the Gospel, which you can read above, and look at it bit-by-bit. Jesus is telling us to renounce ourselves, take up our cross and follow him. This is a pretty huge command. Why should we ‘renounce ourselves’? What does that even mean? To renounce means to reject or abandon something. So, do we have to sell everything we own and wear a sack for clothes like the High Sparrow in Game of Thrones? Well, maybe…but we don’t have to do that (and I’m certainly not recommending it!). For me, renouncing myself as Jesus tells us to means not living my life by my own way, but by God’s way. We can often think we know best, and that we know what we want and what is best for us, but when we do this we often find ourselves at dead ends, or things go wrong and we get in a mess! When we follow our own desires, we ultimately find ourselves unhappy and unfulfilled, having followed things that don’t make us truly happy. This is what Jesus is telling us to renounce in this passage: our own imperfect ways! Instead we can take the path God is laying out for our lives. Let’s let all our worldly desires go, because they will only fail us. Instead let’s follow God, and let his love into our lives. This doesn’t necessarily mean forcing ourselves into poverty and spending every moment praying in Church, but it means living our lives the way God wants us to. It means saying to God, during good times, as well as the bad and just plain uncertain: ‘God, I’m trusting you here. Please guide me through this.’ At University, I often found myself out of my comfort zone: be it with friendships and relationships or with an essay that would just not write itself. I wouldn’t always turn to God, sometimes trying to plough through my troubles myself or other times simply burying my head in my duvet. These were both sure fire ways to burn out or get a rubbish mark on my work. But when I did turn to God, I found that I had renewed strength, and peace in my heart. I found myself being closer to the best version of myself that I knew- the person God made me to be! This links in to the next part of the sentence, when Jesus tells us to ‘take up your cross and follow me’. We can take our cross to mean the heavy things we carry through life; our burdens and responsibilities, worries and fears, and all the rest. Being a Christian comes with burdens. It means we can’t always do what we want to in the moment, or that we are judged by those who stereotype people of faith. It can mean that we have to drag ourselves out of bed on a Sunday morning to get to Mass- as the team did this week, we got drenched! But the beauty of our faith is that we know Jesus is with us through all of this. By willingly taking up His own cross, and dying on it, he shares in all our burdens, all our fears and worries, all our wet and windy walks to Mass! He is with us through it all, and all He asks is that we stay with Him on our journey of life, because He loves us and wants to be with us. Lord, you came to Earth to share in all our sufferings, both great and small. Help us to trust you, and to follow your path in our lives. Please be with us, because we cannot carry our crosses without you. Amen. When every new team arrives at Castlerigg in the middle of August, we’re all at different stages of life. Some of us are fresh out of sixth form, and have little experience of the workplace, while others have been out of university for a year and are familiar with work routines and practices such as safeguarding. We are also all at different stages of our faith journey, with some of us not even being Catholic. With that in mind, the two and half weeks of training we go through as a team are designed to bring us rapidly up to speed with all things Castlerigg and youth ministry; as well as getting to know the people we’re going to be spending the next year of our lives with! After we said farewell to our families on moving-in day, there were a fair few moments of uncertainty and doubt, but the leadership team were always on hand to keep us busy, getting to know each other and our new home. 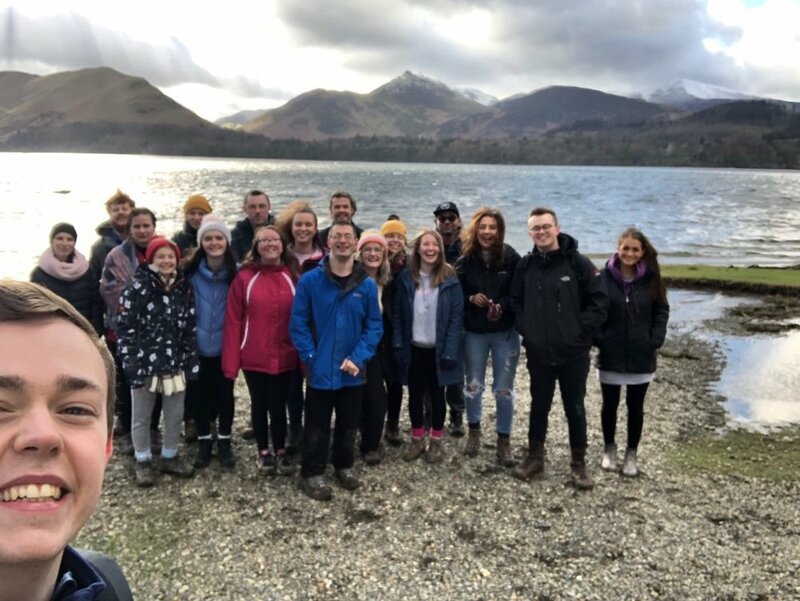 One of our first ‘team-building’ tasks was taking us out rowing on Derwentwater, which some of us took to more easily than others… But it did the trick of bringing us together as a team, and for fun. Phelim’s vast collection of board games has similarly kept us busy in the evenings. Having only been here for two weeks, we all agree that it feels as though we have known each other for much longer. Theresa particularly notes how quickly she became comfortable with her new housemates, which helped her to be more confident and engage in all we were doing as a team. Being in such a close environment has meant that we have quickly learned to rely on each other, be it with washing up after meals or looking out for each other when we’re out on walks. What’s more, we’ve had a selection of the Diocese’s best and brightest coming to give us talks and presentations on various topics. These ranged from safeguarding and professional standards to the sacraments and how to read the Bible in a prayerful way. They were all very engaging and thought-provoking, Rachael particularly enjoyed Fr Chris Loughran’s talk on the importance of having a personal encounter and relationship with Jesus. For each of us, it is our personal relationship with Christ that has drawn us here to Castlerigg, and it is this that we are so excited to share with young people (you!) this year. So, in all, training has been a busy but positive time for us. Full of new experiences, faces and responsibilities. We have already grown as individuals and as a team in the last few weeks, and with our first school retreat just days away we are all eager to get started. It was great to welcome Bishop Paul this weekend, both for the Big Walk but also to have him formally commission us as gap year volunteers. At Mass, he prayed ‘May the Lord, who has begun this good work in you, bring it to fulfilment’. This is our prayer too! This weekend the new team travelled to Walsingham in Norfolk, to attend the Youth 2000 festival. First and foremost, our thanks to those who got us there, especially Fr Alf from St Wulstan’s and St Edmund’s Fleetwood, in his Parish minibus! Walsingham is a picturesque village which has a strong history as a place of pilgrimage for Catholics. In 1061, Richeldis De Faverches prayed to Our Lady the Mother of Jesus and Our Lady led her in Spirit to Nazareth, in which Mary told her to build in Walsingham a replica of the Holy House of Nazareth, where Jesus grew up. When she achieved this, Walsingham became as famous as Jerusalem as a place of pilgrimage for Catholics in the Middle Ages. The original Holy House was destroyed in the reformation, but the ‘Slipper Chapel’ and Shrine remain. The Youth 2000 festival brings together over a thousand people mostly ages 16-35, as well as inspirational speakers from all over the world and dozens of priests and religious. The festival is centred on a huge circus tent, within which Jesus can be found 24/7 in the Blessed Sacrament. We gathered in His presence every day to hear from speakers such as Anthony Gielty and Mary Bielski. We prayed and sang uplifting songs of worship, and to celebrate mass. We all got a lot from the weekend, which for many of us was the first opportunity to take part in such a joyful and vibrant celebration of our Catholic faith. It was emboldening to meet and get to know so many other young people, as well as priests and religious, who are faithfully living out their lives as followers of Christ. It served as an important reminder that our faith is not something that should be restricted to one hour on a Sunday, but something that should soak through our entire lives; and fill us with pure love and joy! Patrick, who had never been to a Youth 2000 event before, was struck by how passionate people were about their faith: ‘I think it’s good for people to have a space to do that in an increasingly secular world.’ He also enjoyed the healing night, and found the testimonies really powerful. People with ailments such as chronic back pain found they had been taken away after being prayed over. The theme of the festival was ‘Share in the Joy’. Since arriving at Castlerigg just over a week ago, we have been getting to know each other as we embark on this year together. By sharing in the joy of Christ in such an enthusiastic way at Walsingham, we have certainly grown closer as a team and as friends. As the old mantra states, ‘the family who prays together stays together’! As many of the speakers reminded us this weekend, Jesus brought us all to Walsingham for a unique reason, and the same is true for us as we begin our year at Castlerigg. We can’t wait to get started, and look forward to sharing the joy with you soon! On the 28th May an intrepid group set out from Castlerigg Manor for the sponsored walk. Fr John had planned a challenging route, taking in some of the amazing Lake District landscapes, and the day lived up to expectations. Each year Castlerigg Manor welcomes thousands of young people and fundraising helps us to keep the costs down to enable everyone to participate. The ten participants on the walk had a target of raising a thousand pounds each and, although money is still coming in, it looks like we are on target. We left Castlerigg Manor by minibus, ready to set off from Grasmere. It was a beautiful sunny day and, although showers were threatened in the forecast, we barely saw a cloud all day. The route started out by climbing rapidly from Grasmere to Stone Arthur, a challenge in the heat, where the views over the valley opened out below us. From there it was up again to Great Rigg, and then on to Fairfield, where we could see ahead of us along the Helvellyn range. In the way was a sharp descent to Grisedale Tarn, passing a few people brave enough to try swimming, before climbing again to Dollwagon Pike. From Dollywagon Pike the path continued to rise and fall, taking in Nethermost Pike on our way to Helvellyn, the highest point of the day. Continuing north, we left the tourists behind and found ourselves on the quieter peaks of White Side, Raise, Stybarrow Dodd, Watsons Dodd, Great Dodd, and eventually Clough Head. The heat of the day proved a challenge, and as we came to these latter summits water was in short supply (and not to be found on the ridges!). The final descent to St John’s in the Vale was steep and rocky, passing old mine workings before reaching the road and a car loaded with bottled water – a very welcome sight. We were delighted to be joined on the walk by Bishop Paul, as well as staff from several of our schools. Everyone enjoyed the day and finished with a great sense of achievement. 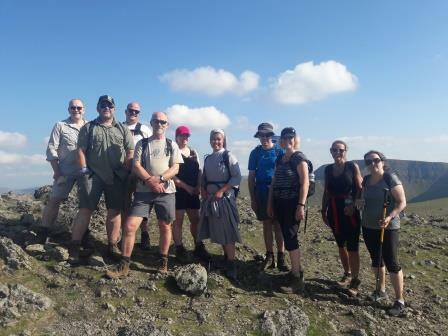 We’d walked 17.15 miles, climbed a total of 6,102 feet and reached the summit of twelve Lakeland fells. Along the way we had the chance to get to know each other, and spent a whole day in awe of the beautiful countryside around us. A talent is something that we are born with that gives us unique skills and abilities. Talent is set apart from knowledge in that it is not a learned behaviour, although it can be strengthened and practiced. “As each has received a gift, use it to serve one another, as good stewards of God's varied grace” 1 Peter 4:10. The Bible tells us that we are all born with different talents and gifts that set us apart from each other. When you discover the talents that God has given you, thank God for them. Living out your talents it can help us find our unique calling in life. Paris is one of the Castlerigg Manor volunteers who decided to step out of her normal routine and her comfort zone in Barrow to serve God through serving the Diocese searching and living out her Faith, living in community carrying out youth work sharing her gifts and talents each day and encouraging others to find their own. One of Paris’s talents is music. She is very talented at singing and I have been telling her how she inspires the young children through singing practice and social time. In the book of Gary Zukav called 'The seat of the Soul' which I am reading at the moment, he describes the Authentic power as the power that will never leave you but will benefit other people around you. Our best legacy we can leave behind in life, I believe, is that we share our talents, be it singing, playing football, playing guitar or something else. Every one of us was created with solutions to the challenges of others, through empowering them by using the talents we have. You may have heard about ‘The Voice’ on national television. It is a campaign across England for spotting talented musicians who will participate in next year’s television show, and the winner is receives a recording contract and £100,000. 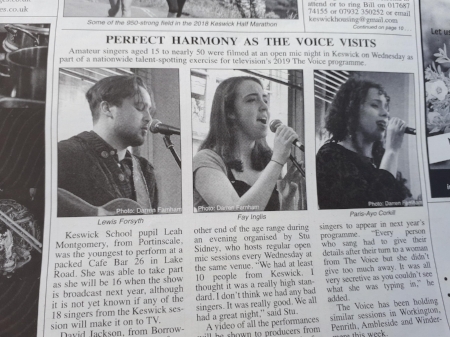 Well, recently in Keswick there have been auditions for this programme and it was of great joy to see our own Paris participating in the process in front of so many people. It was also great to see her in the Keswick Reminder too. Through Paris’s example of sharing her talent I came to know that it’s better to believe in yourself and you keep your head held high so you can “run the race with endurance” Hebrews 12:1. It reminds me that is “a man who sets to win, he never say impossible”. If you have a talent, let it grow, do not hide it! On Sunday 29th April, the Catholics of England, Scotland, Wales and Northern Ireland formed a Human Rosary chain around the entire coast! Over 400 locations were officially registered and an estimated 45,000 Catholics took their Rosaries in their hands to the coast to pray for Faith, Life and Peace! The event brought together our Church in the UK, with Bishops, Priests, Religious, Laity and youth all praying as one at 3pm for Faith, Life and Peace. I went home to Fleetwood where I worked with Canon Alf Hayes to get a team together to organise our rosary for the area. Someone opened their Chalet on the beach and provided hot drinks, someone else brought their Statue of Our Lady and others brought so much joy to the cold showery afternoon that it was. I love my home town and I spend most of my time on the beach when I’m home just reflecting on life and appreciating the views looking across to Morecombe, Barrow and the Lake District hills. On this occasion it was a beautiful experience, firstly receiving a special Apostolic blessing from Pope Francis and knowing that St Wulstan’s and St Edmund’s Parish were joined together with St Mary’s and even a couple from the Willows in Kirkham to pray our rosary led by some of the Parishioners including our young people, gazing across to the other parts of the Diocese but, also on a bigger scale joining in prayer around the country. 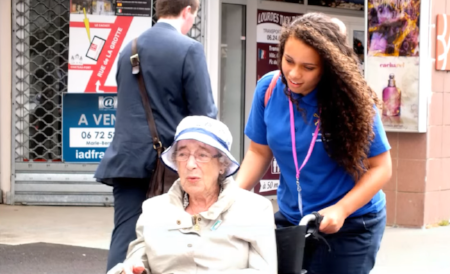 Why Should You Join Us In Lourdes? 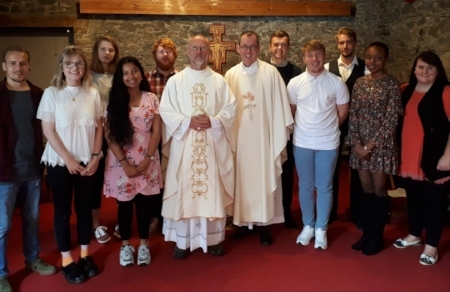 This summer, after finishing my gap year at Castlerigg Manor, I am travelling with the Lancaster diocese, along with other young people from surrounding schools and parishes, to Lourdes. I have never been before and am looking forward to learning more about this special place in the run up to our trip. Before now I have never really had the opportunity to go to Lourdes, my high school didn’t go every year and I missed out when they did go, but it is definitely something I have always wanted to do. I have had a very Catholic upbringing from my mum, catholic primary and secondary education, and have heard a lot about Lourdes from family, teachers and friends, all speaking very fondly of the Holy place, the amazing experiences people have there and how it has been a significant turning point in a lot of people’s faiths. I didn’t know too much about Lourdes before I signed up but I always knew that part of our pilgrimage to Lourdes is to assist the sick and that this trip is more for them than us, this is one of the main things that appealed to me about the pilgrimage. I have given this year to serving God through the youth and I am so blessed to now have this opportunity to serve the sick, I am a big believer in that through serving others we are ultimately serving God. I also knew I would get to see some amazing places like the Grotto where Our Lady appeared to Bernadette, but apart from that I was pretty clueless. In some ways it made me more excited because there was so much to discover but I feel at a big disadvantage having never been to Lourdes before because it is a really special place for Catholics and as I said a huge milestone in many faith journeys. Only this past weekend on our Lourdes Prep retreat did I really find out how much we do and get to experience in Lourdes, including torchlight processions, bathing in Bernadette’s spring, visiting the Basilica on many occasions, St Bernadette’s walk, international mass in the underground basilica, sacrament of the sick for our sick pilgrims (VIP’s) and of course free time with the VIP’s from our Diocese. I have met a few young people that will be travelling with us on our 24hr coach trip, and am so inspired at the huge numbers of young people that spend a week out of their summer to assist the sick, something a lot of their peers wouldn’t usually do. Draw us to the centre of your sweetness, Jesus. After taking part in the preparation weekend for our upcoming pilgrimage to Lourdes, it has reminded me of the amazing experience I had back in 2015, making me even more excited for being there again in the summer. To me, Lourdes is a place full of hope and shows us what true faith is, to see thousands of people all on their own personal pilgrimages come together to share in their faith and the love of Christ is indescribable. When I signed up for the Lourdes pilgrimage back in 2015, initially I was extremely nervous as I didn’t feel I had a true understanding of what Lourdes was and I felt that my understanding of my faith was nothing compared to the people around me. However, shortly after arriving in Lourdes I realised that this wasn’t important anymore. It was about opening up my heart to Christ, understanding the love Mary our mother has for us and helping others to enter into this experience. There are so many moments from this pilgrimage that have had a great impact on my faith. One was an experience I had at the Grotto, the place of which Our Lady appeared to Bernadette. I felt as though so far I had been struggling to really enter into the experience, but in that moment I truly felt as though she was with me and was showing me she was there with us every moment of our pilgrimage to comfort and reassure us. I was lucky enough to be able to both assist and spend time with some of the most amazing and inspiring pilgrims from our diocese, who really helped to make the experience so memorable for me. One afternoon, after assisting a Lady to the basilica in the domain, we took some time to explore and spent time in adoration and praying the rosary in the Eucharistic tent. This will always be so important to me as it showed how faith truly brought people together. It showed me that people of different ages, genders and nationalities were all able to join in prayer because of this sacred site and Our Lady. After meeting the young people, I will be traveling to Lourdes with, I am even more excited for what this pilgrimage will bring. 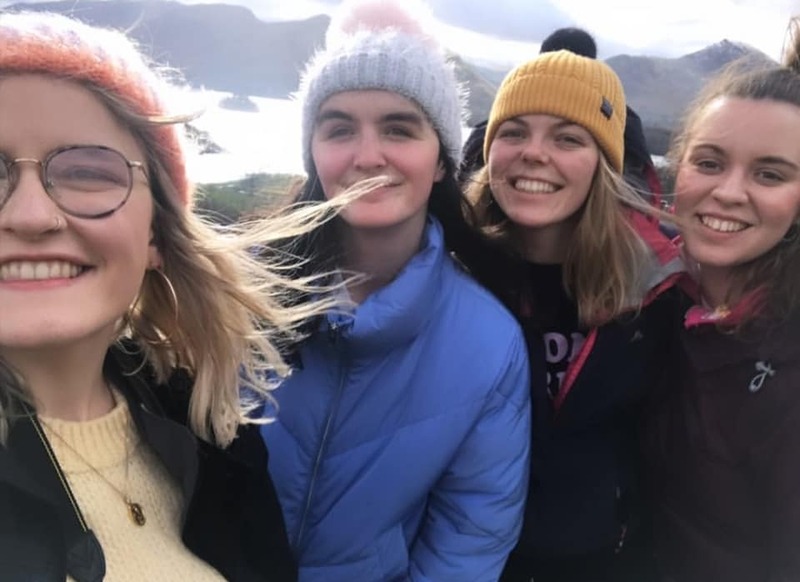 I have enjoyed my gap year here at Castlerigg so much and I believe this experience will help me to carry on exploring and sharing my faith after finishing my year here. Lourdes is a truly beautiful and incredible place and no matter where you may be on your faith journey, or what your understanding is of Lourdes, I would strongly encourage anyone to take the opportunity to visit this remarkable place.